The Power of Visionetics to Change Your Life! The Power of Visionetics to Deliver Your Wildest Dreams! Click here to learn how you can work with Dr. Wallace to achieve extraordinary results in your life! 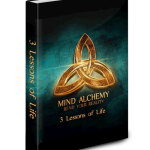 Order The Power of Paradigms course to learn how to create massive paradigm shifts in your life! Nearly 30 years ago I set out to answer a very piercing question that was at the heart of an enigma that yearned to be solved. The question can be summed up by the need to develop a lucid perspicacity of the forces at play that resulted in 120 years (153 years currently) of quasi-freedom for Blacks with virtually no substantive social, political, or economic progression. My background in psychology led me to an initial theory which I entitled Collective Cognitive Bias Dominance Theory, which proposed that Blacks were suffering from a collective distortion in our thinking, paradigms, social views and more. This theory suggested that the slavery experience resulted in a mal-adaption in social reasoning. While I was able to uncover a wealth of empirical data as well as accumulate new data to support the CCBD theory, it was not long before I realized that there was substantially more at play than a warped sense of thinking that had been passed down through social learning theory and cognitive distortions. It seemed that psychopathological behavior was somehow ingrained into the psychology of a large percentage of Blacks in this country and other colonized geographic locations. This gap between what I was able to prove concerning cognitive influences on the behavior of a large portion of the Black collective, forced me to examine the intergenerational transmission of trauma. It was during my research on the intergenerational trauma that I was introduced to the world of epigenetics. In simple, epigenetics is the study of heritable changes in gene expression that do not involve changes to the underlying DNA sequence — a change in phenotype without a change in genotype — which in turn affects how cells read the genes. Click Image to Order Your Signed Copy! 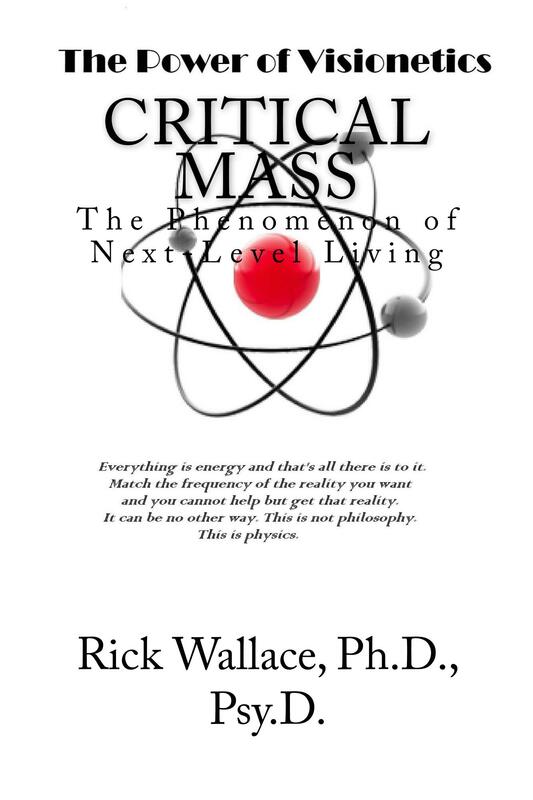 Get your signed copy of Critical Mass: The Phenomenon of Next-Level Living! Every cell in the body has the ability to read DNA sequences, interpret and transcribe what it reads to determine how it will express itself. Environmental influences create what are known as epigenetic tags that have the ability to activate and deactivate genes based on cellular transcriptions. This explains how identical twins — sharing identical DNA can end up with such different physical outcomes in life. One twin dies early from cancer, while the other lives to be 95-years-old. Environmental experiences serve to rewire genetic expression causing abnormal cellular mutation — resulting in disease. While my research began with a focus on the Black collective and the central issues therein, I quickly learned that epigenetics was not confined by race, socioeconomic status, political affiliation, etc. People from all backgrounds deal with epigenetic influences at varying degrees. Yes, Blacks have unique experiences that contribute to their current condition and these experiences must be addressed and mitigated to see significant and lasting change. What I want to do here is focus on another group that has been impacted through epigenetics — children. As it turns out, childhood trauma has an immense impact on social development, brain function, and general health. The Adverse Childhood Experiences Study, a study sponsored by the CDC and Kaiser, produced startling results that illuminated a health epidemic that was unaddressed at the core level. The study examined the impact of childhood trauma on the overall health of children and adults. During the study, each of these unique experiences was given a point value of one. It was discovered that 67 percent of the subjects had at least one point (one adverse childhood experience), and at least one in eight had four points or higher. The correlation here is that the higher the score the poorer the health outcome of these subjects. That’s right, adverse childhood experiences have a direct correlation with predictable health outcomes. There are multitudinous birth cohorts that are impacted by an increased ACE score, but there are five highly prevalent areas worth noting — depression, certain forms of cancer, sexual promiscuity, ischemic heart disease and arrested brain development. One finding that is noteworthy is the fact that an ACE score of four increases the risk for suicide by 12 times. While certain health issues can be connected to poor lifestyles and poor decisions, the conditions under which these decisions are made is not adequately understood. When a child or an adult experience trauma in the form of any type of threat, but especially those listed as adverse childhood experiences, it triggers a fear response that serves to shut down the prefrontal cortex, which is responsible for making executive decisions and impulse control. In situations in which you have seen inexplicable behavior in which you knew the person knew better, it could be that they were functioning through the lack of inhibition created by an incapacitated prefrontal cortex. There was no impulse control. In addition to the fear response, there is the stress response, which activates the hypothalamus — sending a signal to the adrenal gland to produce adrenaline and cortisol — placing the body in fight or flight mode. This is a great thing to have when you are in the wild and you stumble upon a lion or a tiger. The rush of adrenaline and cortisol prepares you to either run or defend yourself. This stress response also works to pull blood (oxygen) from major organs like the heart and brain to send to your extremities to support combat or flight. This is not a problem as long as the experience is shortlived (happening over the course of seconds). However, what is the outcome when you are constantly bringing the lion home with you — constantly experiencing the fear and anxiety associated with paradigms that have been shaped by adverse childhood experiences. Something that was meant to save you ends up killing you. When we speak of environment most people tend to think of things like the home and community and maybe even what a person eats on a regular basis. Ischaemic heart disease is the number one killer in the western hemisphere, which includes the United States. Most people either view ischaemic heart disease as a result of genetics or poor diet. What should be considered is the fact that a person with an ACE score of four or higher significantly increased BMI, WC, and an increased resting heart rate. One point that Dr. Bassel van der Kolk, one of the foremost leading experts in trauma, points out constantly is that it is the body that keeps the score when it comes to trauma. The act of becoming traumatized by an event is first physiological (experienced in the body) and then psychological (processed through the mind). The absorption and processing of trauma by the body have a massive impact on health outcomes. There is a standing belief that children are highly resilient, which they are; however, the presence of resilience does not exempt children from the residual negative impact of ACEs. One of the most common misdiagnoses among children under the age of 10, especially males, is ADHD. As we learn more about the impact of ACE on human behavior as children and adults, we are discovering that what was once believed to be symptoms of ADHD is most likely the results of untreated ACEs. ADHD, which is usually treated with stimulants like Vyvanse, Adderall, Ritalin, and Concerta, is a phantom used to explain both natural and disruptive behavior in young children. Children learn better through movement and discovery, not by sitting still and listening, so a certain amount of hyperactivity should be expected. When this behavior becomes excessive, it is usually due to exposure to multiple ACEs. What is interesting is that this is not primarily a racial or socioeconomic issue. While some groups are impacted more, almost everyone has been impacted by it or knows someone who has. How many people reading this has a person in their family who drinks too much? What about someone whose parents were divorced when they were young? Are there any readers who witnessed domestic violence as a child? 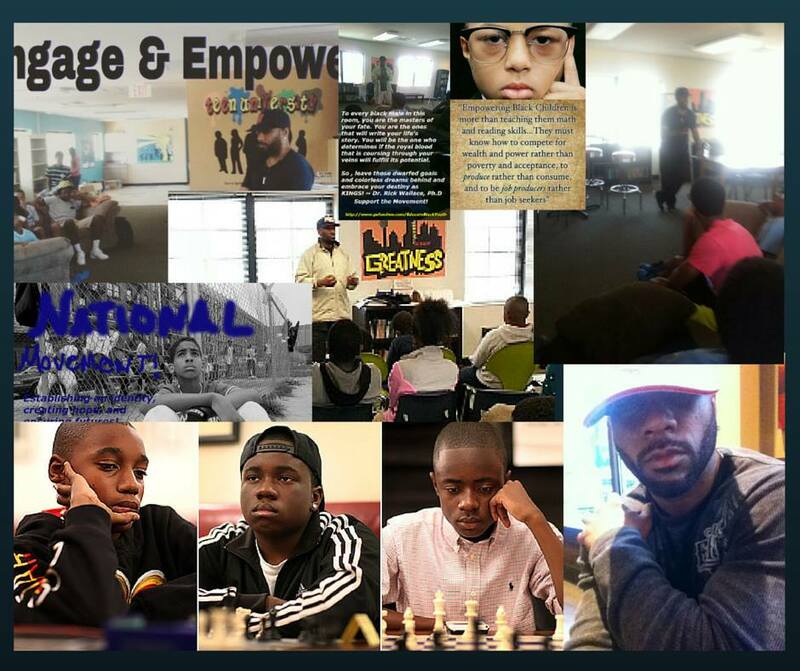 The statistics bear out the fact that regardless of race or socioeconomic status, approximately 67 percent of the population has an ACE score of at least one. While there is still work to be done in the area of quantitative and qualitative research, it is clear that the use of ACEs as a predictive mechanism to help identify potential poor health outcomes long before they occur. We should also work to reduce ACEs whenever possible. ~ Rick Wallace, Ph.D., Psy.D. DeGruy, J. (2009). The African American Adolescence Respect Scale: The Measure of Prosocial Attitude. The University of Portland, 1-3. DeGruy, J., Brennan, E. M., & Briggs, H. E. (2009). The African American Adolescence Respect Scale: The Measure of Prosocial Attitude. The University of Portland, 1-3. Dube, S., Feletti, V., Dong, M., Giles, W., & Anda, R. (2003). The impact of adverse childhood experiences on health problems: evidence from four birth cohorts dating back to 1900. National Institutes of Health, 37(3):268-77. Kahane-Nissenbaum, M. C. (2011). Exploring Intergenerational Transmission of Trauma in Third Generation Holocaust Survivors. University of Pennsylvania Scholarly Commons. Kardiner, A. (1941). The Traumatic Neurosis of War. New York: Hoeber. Kellermann, N. P. (2001). Transmission of Holocaust Trauma – An Integrative View. Israel Journal of Psychiatry, 256-267. Kolk, B. A. (2001). Exploring the Nature of Traumatic Memory: Combining Clinical Knowledge with Laboratory Methods. Trauma and Cognitive Science Haworth Press, Inc.
Kolk, B. V. (1987). Psychological Trauma. American Psychiatric Press. Kolk, B. V. (2014). The Body Keeps the Score. New York: Penguin Publishers. Pretty, C., O’Leary, D. D., Caimey, J., & Wade, T. J. (2013). Adverse childhood experiences and the cardiovascular health of children: a cross-sectional study. BioMed Central — BMC Pediatrics, 13: 208. doi: 10.1186/1471-2431-13-208. Stevenson, H. C. (2006). Parents’ Ethnic-Racial Socialization Practices: A Review of Research and Directions for Future Study. American Psychological Association, 1-24. Stevenson, H. C. (2015). Development of the Teenager Experience of Racial Socialization Scale: Correlates of Race-Related Socialization Frequency from the Perspective of Black Youth. The Journal of Black Psychology. Stevenson, H., Davis, G., & Abdul-Kabir, S. (2001). Stickin to, Watchin Over and Gettin With: An African American Parent’s Guide to Discipline. San Francisco: Josey-Bass. Wallace, R. (2014). Epigenetics in Psychology: The Genetic Intergenerational Transmission of Trauma in African Americans. The Odyssey Project Journal of Scientific Research. Wallace, R. (2014). The Influence of Cognitive Distortions on the Social Mobility and Mental Health of African Americans. The Odyssey Project Research Journal. Wallace, R. (2015). Collective Cognitive-bias Reality Syndrome. The Odyssey Project Journal of Research and Cognitive Enrichment! Wallace, R. (2015). Collective Dominative Cognitive Bias Syndrome. The Odyssey Project Journal of Scientific Research. Wallace, R. (2016). African American Trauma: More than Meets the Eye! The Odyssey Project Journal of Scientific Research. Wallace, R. (2016). Racial Trauma & African Americans. The Odyssey Project. Wallace, R. (2017). Born in Captivity: Psychopathology as a Legacy of Slavery. Houston: Odyssey Media Group & Publishing House. Wallace, R., & Wallace, D. (2010). Gene Expression and Its Discontents: The Social Production of Chronic Disease. New York, NY: Springer. About Rick Wallace, Ph.D., Psy.D. Dr. Rick Wallace is the Founder, CEO & Chief Life Mastery Strategist at The Visionetics Institute. He created the Visionetics concept for optimal personal development based on nearly three decades of academic study, research and experience in the areas of behavioral psychology, neuroscience, personal development, metaphysics, quantum physics, neuro-linguistic programming, psycho-cybernetics and spirituality. Dr. Wallace is one of the leading minds in the area of personal change --- achieving an exceptional rate of success with his clients. Tagged adverse childhood experiences, childhood trauma.